As an extension of Technology innovation for Our Clients, new information sharing technology interface has been developed on the most popular medium on Smart Phones/ Tablet PC runs on ANDRIOD Technology i.e. E I M S – Mobile Application. This interface provides an option for the Parents/ Students who use Android bases Smart Phones/ Tablet PC to access all such information which they access via their respective Web Logins on Institution EIMS - Web Portal and get latest information updated by the Institution authorities. Personalized Notification / Remarks from Teachers and Many More….. Provision to update assignment and tutorials to the Students of their respective Classes/ Subjects. Web Based Content Management System (CMS) That Allows Institution Like University, College And School To Fully Maintain Web Sites With Absolute Ease. 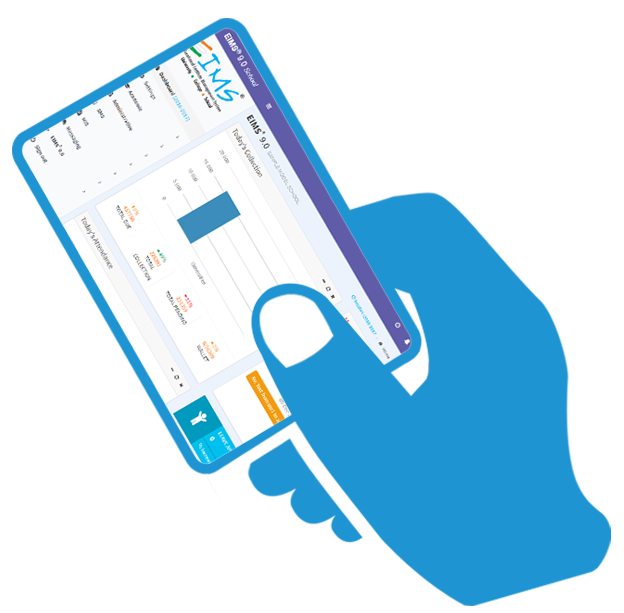 With Our CMS Vast Utility And Modules You Can Easily Manage Your Day To Day Functionality Up-To-Date. CMS For school and college come up with state of art CMS application build with Proven, flexible, seamless and advance Java Framework with data and image edition tool, rich text editor, permission control functionalty etc. It Help institution to save money and improve their reach to students, parents, staff and teachers. At dynamic webportal i.e CMS for school and college you can easily edit data and image according to your choice. Each section at dynamic webportal i.e CMS for school and college is controled by permission control mechanism. We create responsive & bootstrap webportal for our clients which is fully mobile optimized. An SMS Plug-in by which you can send sms to students, parent, staff and teacher with unique 6 digit name. Registration & Fee can be collected online via various payment methods like Credit, Debit Cards & Net Banking. Our Rich Text Editor provide mechanism by which you can easily do formatting of text and image. All Design created by us are flexible, seamless & responsive, which fits to all devices.